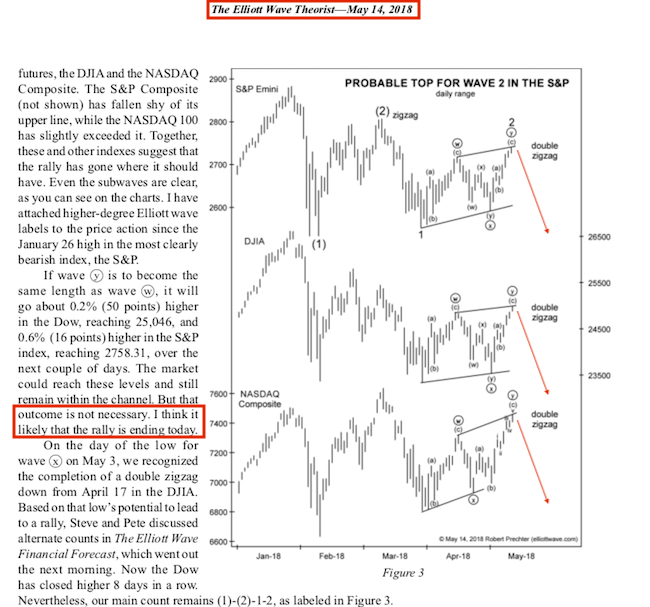 Although I warned of an environment where the risk of a meltdown is high (wave 3 down, based on Elliott Wave Theory), I can’t claim credit for predicting the December crash. 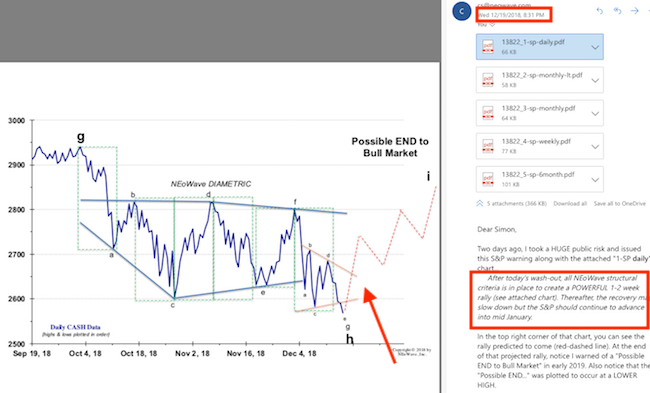 Because of my multi-indicator approach to market forecasting, and profound concern for my subscriber’s portfolio’s, I rarely ever make absolute one-directional predictions based on only one indicator. There are plenty of absolute and unequivocal predictions out there. Such ‘hit or miss’ or ‘all or nothing’ bets are great when they work out (and like gambling, sometimes they do), but cause excruciating pain when they don’t. I found in my research that the only folks who ‘predicted’ the December meltdown, are those we’ve been spewing doom and gloom for years (even a broken clock is right twice a day). My intent is not to discredit the above services, but to highlight the flaws of tunnel vision research. That is, research based on only one indicator or one methodology. 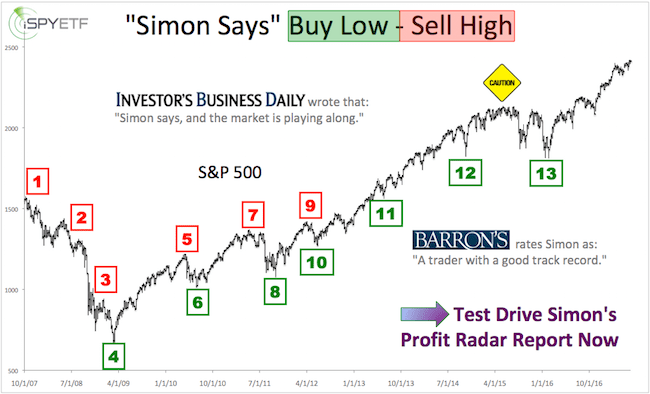 Before publishing the Profit Radar Report (many, many years ago), I lost a lot of money by trusting one single indicator (which at the time had a good track record). Back then, I took off my ‘research blinders,’ and vowed to expand my research horizon. Diversification is a popular term in the investment world, and it’s almost exclusively linked to asset allocation. But what about research diversification? Just as a diversified portfolio smoothes out individual boom and bust cycles, research diversifcation eliminates the ‘hit or miss’ performance tied to any one single indicator. My goal is to distill and compress the message of various indicators (such as: investor sentiment, money flow, breadth, technical analysis, price patterns, seasonality, etc.) into the most likely path going forward, the direction suggested by the weight of evidence. 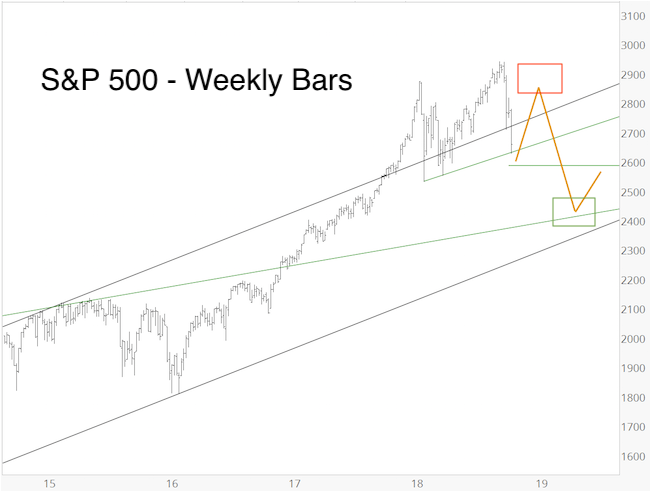 The yellow lines projected a move from 2,600 to ~2,850, followed by a drop to ~2,400. 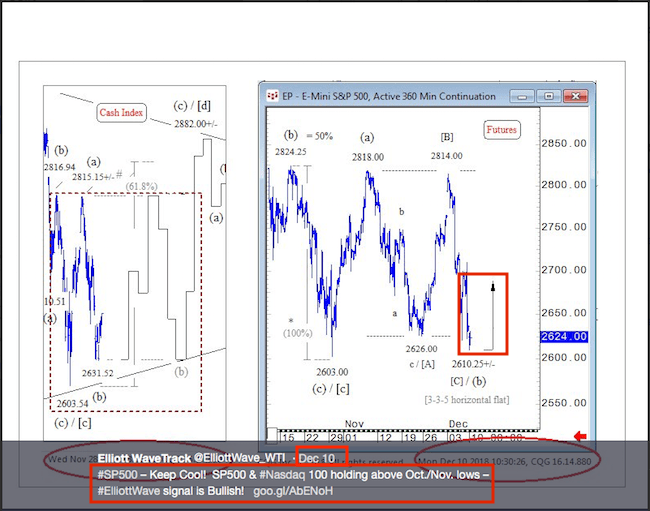 Wave 3 is the longest and most powerful of all Elliott Waves. Wave 3 continues to move higher (or lower) despite overbought (or oversold) momentum and sentiment readings. A common target for wave 3 is a Fibonacci 1.618 of wave 1 (which currently is 2,269 for the S&P 500). One ‘drawback’ of the multi-indicator approach is that you will rarely hear a flashy ‘all or nothing’ call. The benefit is that you will rarely be on the losing end of such a call. The multi-indicator approach does however, outline when the risk of a crash or the potential of a spike is elevated. 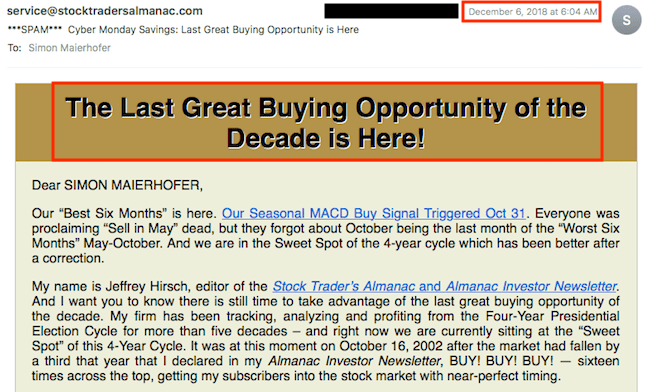 And perhaps most importantly, there are times when nearly all indicators point in the same direction to form a potent and very reliable buy/sell signal (such as in March 2009, October 2011, February 2016). Based on what I’m seeing right now, it seems like we are nearing such a signal.